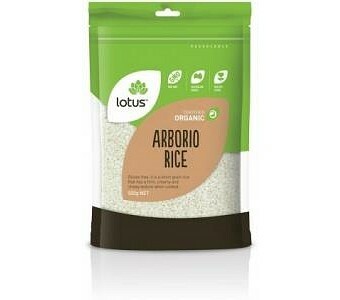 Lotus Organic Arborio Rice is a gluten free, short grain rice has a firm, creamy and chewy texture when cooked. Ingredients: Organic Arborio Rice. No Preservatives or Additives. Certified Organic by ACO.